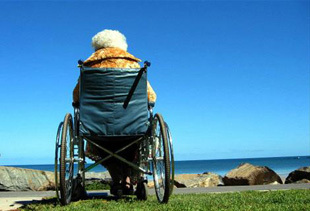 Alzheimer's Dementia: Alzheimer’s dementia is not a normal occurrence of aging. It is the most common form of dementia, accounting for approximately 50-80% of all diagnosed cases. Dementia is a term used to define loss of memory and impairment in a person’s cognitive function affecting their ability to perform normal daily activities. It is a progressive and debilitating disease that destroys a person’s brain cells. Statistics report that over 5.4 million Americans are affected by this disease. The symptoms may initially develop slowly, with early symptoms that commonly include short-term memory loss (difficulty in remembering newly learned information). This is because Alzheimer changes typically begin in the part of the brain that affects learning. As Alzheimer's disease advances, it leads to increasingly severe symptoms, including disorientation, mood and behavior changes; deepening confusion and increased memory loss; including unfounded suspicions about family, friends and caregivers. This eventually progresses to include incontinence, difficulty speaking, swallowing and walking. Caring for a person with Alzheimer’s or Dementia can become overwhelming at times. One of the biggest challenges a Caregiver will face is tackling the behaviors of the person for whom they are caring. It is difficult to watch your loved one forget so many things that were once very important to them; talk and behave so irrationally and out of character, and appear so agitated and depressed. Have you ever had to stop your older loved one from wandering away? Many families like yours are facing this on a daily basis, and you do not have to face this alone. Caregivers and Stress: There are nearly 15 million Alzheimer’s and dementia Caregivers providing 17 billion hours of unpaid care... Facts and Figures find that Caregivers not only suffer emotionally but also physically. Because of the toll of caregiving on their own health, Alzheimer’s and dementia Caregivers had $7.9 billion in additional health care costs in 2010. More than 60 percent of family Caregivers report high levels of stress because of the prolonged duration of caregiving and 33 percent report symptoms of depression. Created from data from the Alzheimer’s Association 2010 Women and Alzheimer’s Poll, October 2010. 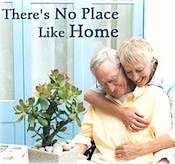 At Home With You Caregivers provide exceptional dementia and Alzheimer’s assistance to families in need. It all begins with a complimentary assessment, by a Registered Nurse with Home Health Care experience, of your loved ones in their home to evaluate their safety and care needs. Utilizing a specialized Alzheimer’s assessment and interventional plan of care developed with resources from the Association of Alzheimer’s, the Registered Nurse will coordinate an individualized plan of care with the family that incorporates not only their physical needs, but addresses their psychological state, and their emotional well-being. Our goal is to develop an individualized plan of care that provides for activities that promote memory and mind stimulation, address their physical care needs, and allows them to remain happily and safely in the familiar environment of their home. Our Home Health Care experienced Registered Nurses will continue to manage your loved one’s care and will adapt their care plan as their needs change. We are here to support you. Our compassionate Caregivers have extensive experience with the challenges that Alzheimer’s can bring. We offer continuing education to our Caregivers to provide them with knowledge and techniques on how to better care for your loved ones to allow them to live safely and comfortably in their own home. Our unique and Alzheimer’s specialized plan of care, and professional supervision by Home Health Care experienced Registered Nurses is what set us apart from the rest. Let us show you what a difference our qualified and reliable Caregivers can make AT HOME WITH YOU!